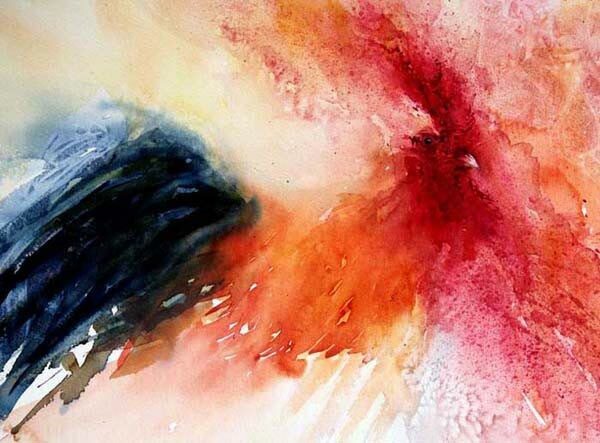 International watercolourist Jean Haines SWA is well known for her passion for working in watercolour. Having lived and travelled and exhibited in many countries, she has had the opportunity to develop her skills, creating incredible paintings whilst under the influence of masters from many countries including Asia, the Middle East and Europe. Today, we had the pleasure to learn more about her favourite medium and tips for a painting holiday in Italy! Jean, what makes painting with watercolours special? 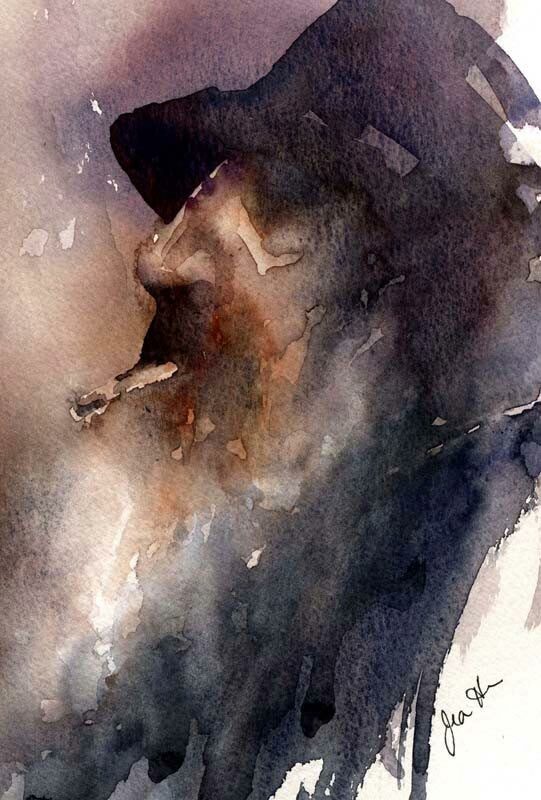 No other medium holds the magic that is watercolour, in that it consistently gives unique results. I love the effects the medium creates when pigment merges with water on paper. It is therapeutic to witness and a joy to create with. It is claimed to be the most difficult of mediums to work in and yet it can be the most fascinating. I am a true watercolour addict! The feeling when creating is often ignored. The passion, excitement and sheer joy when painting can often be overlooked by the pursuit of technical perfection. We need to be aware that not all paintings have to be seen as masterpieces whilst the journey into their very existence can be more than just a goal to reach an end product. The creative process is one to be treasured as much as the outcome. But if you are heading for perfection, practise makes perfect is a wonderful old saying! Are there any works of art or artists who you admire? Yes. I adore the work by Madame Blanche Odin. I lived in France and was greatly inspired by her floral paintings which hold so much magic in them. She was a superb auqarelliste. I also admire Monet. Do you have advice for anyone who would like to improve their watercolour skills on a painting holiday? Learn to enjoy working in the medium. Try not to think about controlling how it works. Instead celebrate all its glorious qualities of being able to form patterns unexpectedly on paper. Aim to be you and let your own style emerge over time. But most importantly enjoy working in watercolour because there is much to enjoy about it. Find an artist whose style appeals to you and learn from them until your confidence grows and your style emerges. Have fun and experiment often. Avoid boredom by aiming to be unique as an artist and have fun learning. Its’ worth remembering that you can only be a beginner once and thats’ such a lovely time in your art life. When every thing, every technique and colour is new to you. Make the most of it! Many thanks to Jean for this lovely interview! Are you feeling inspired now and want to grab your canvas, brush and easel and start exploring the fabulous medium yourself? Then why not find out more about our Italian painting holidays? Our art courses in Sicily, Venice and Tuscany will enable you to develop your skills in the land of art and learn from experienced tutors – simply contact us here to find out more! Artists travel from all over the world to Jeans’ popular watercolour workshops held in Hampshire UK. Jean regularly teaches fully booked courses in Europe, USA, Australia, Mexico such is the demand for her inspirational teaching style. The combination of East meets West influences from living in Asia, along with no fear of working directly minus the use of a preliminary sketch leads Jean to amazing results. Jean exhibits in established galleries.